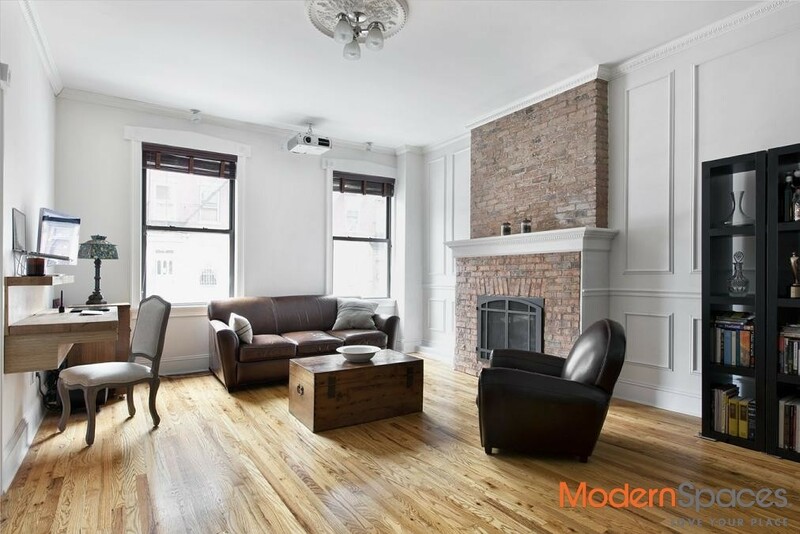 This parlor floor apartment has been completely renovated with classic details and modern amenities- every comfort has been thought of. In the living room a fireplace has been converted to gas, cable television service runs through a state-of-the-art projector, a hidden movie screen descends from the ceiling, and you can connect your gaming system, computer, or other device for big-screen action. The sunny bedroom has original brick details, two large windows, and peaceful garden views. The marble bath is a great place to unwind with a claw foot soaking tub, radiant heated floors, and a big window for amazing light. Fully vented washer/ dryer in unit, enormous walk-in closet, and some additional storage in basement. A shared yard with space for grilling and gardening completes the lifestyle here. 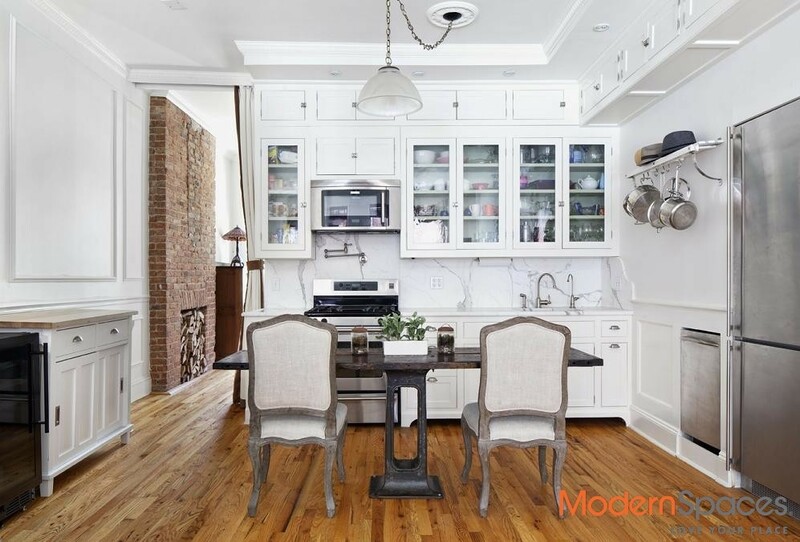 This fantastic apartment is located at the corner of South 2nd and Berry Streets in Williamsburg- a stone’s throw from the L train in the best of Williamsburg. Call or email for appointment. This parlor floor apartment has been completely renovated with classic details and modern amenities- every comfort has been thought of. In the living room a fireplace has been converted to gas, cable television service runs through a state-of-the-art projector, a hidden movie screen descends from the ceiling, and you can connect your gaming system, computer, or other device for big-screen action. 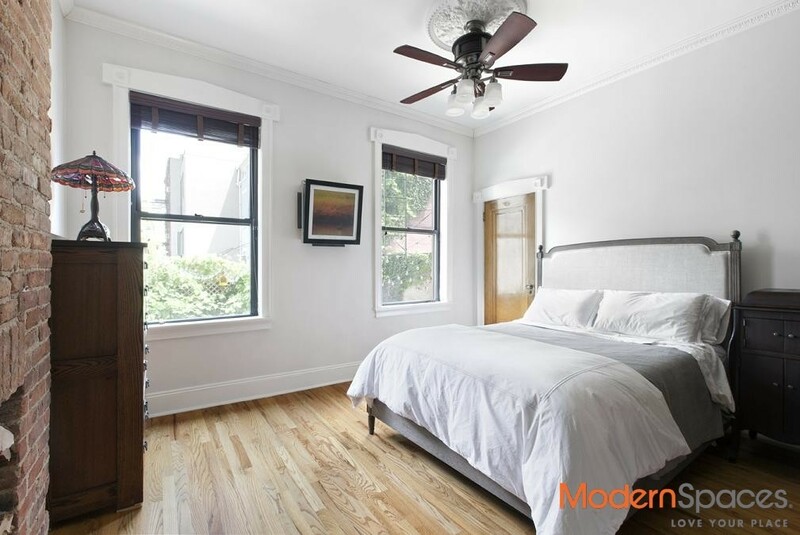 The sunny bedroom has original brick details, two large windows, and peaceful garden views. 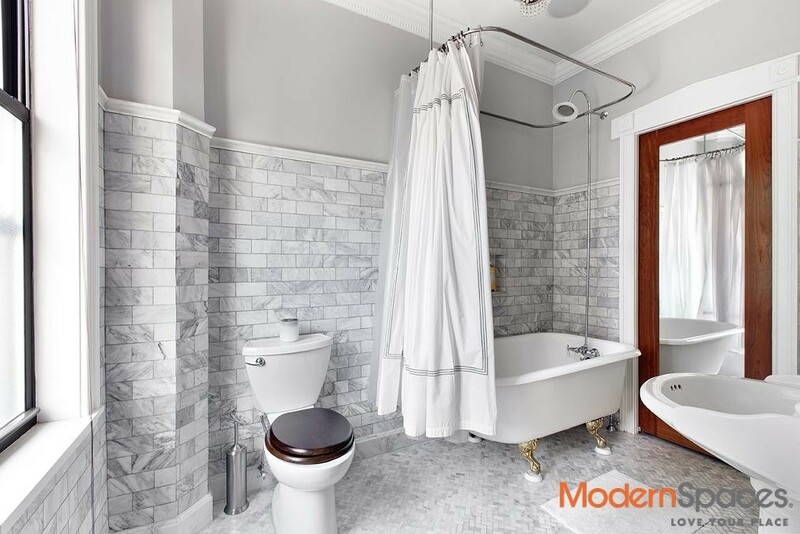 The marble bath is a great place to unwind with a claw foot soaking tub, radiant heated floors, and a big window for amazing light. Fully vented washer/ dryer in unit, enormous walk-in closet, and some additional storage in basement. A shared yard with space for grilling and gardening completes the lifestyle here. 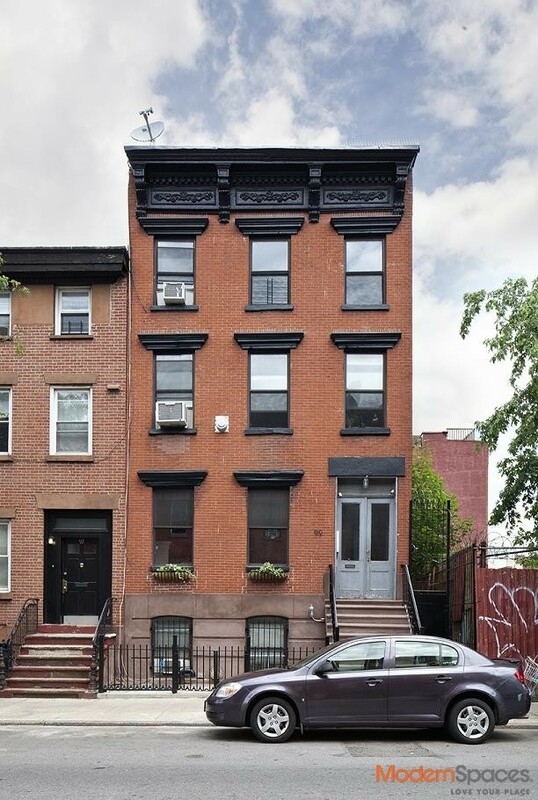 This fantastic apartment is located at the corner of South 2nd and Berry Streets in Williamsburg- a stone's throw from the L train in the best of Williamsburg. Call or email for appointment.